The ISB PGP program has posted its deadlines for 2016-17 (Class of 2018) admissions. The ISB deadlines 2016 remain the same as last year, with the first (Round 1) deadline set for Oct 15, 2016 and the second (Round 2) deadline set for Jan 15, 2017. While the deadlines remain similar to last year, this year, ISB has introduced two offer decision dates (as opposed to just one till last year). ISB deadlines 2016: how should you plan? 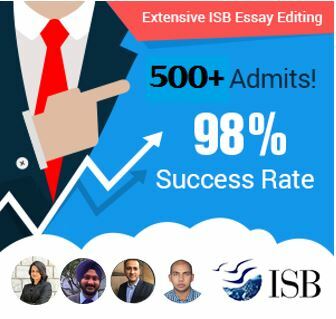 Till 2014 (Class of 2016) admissions, ISB used to have its first deadline on Sep 15, followed by the second one on Nov 30. Then, it changed them last year to the present ones. The implications for applicants are significant. With the R1 deadline at 15 Oct, ISB applicants who are also applying to other business schools will need to plan their strategy better. Earlier, applicants would first take care of their ISB application, and then focus on other schools. Most top applicants, though, will look at the deadline as the last date to submit the application (as it should be), not the first. This means, if you have taken your GMAT and are ready to apply, apply early in Round 1. Applying in Round 1 has other advantages too – full tuition waivers are available only to Round 1 applicants. Partial tuition fee waivers too will be given out only in Round 1. Further, with Round 2 decisions coming in fairly late, Round 1 applicants have the further comfort of knowing they have an admit earlier, and planning their exit from their respective organizations better.